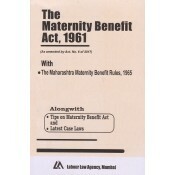 This book contains the Maternity Benefit Act, 1961 & Rules, 1965. It also contains..
1. Synopsis of the Act with Rules & Forms. 2. Act with Rules & Forms at a glance. 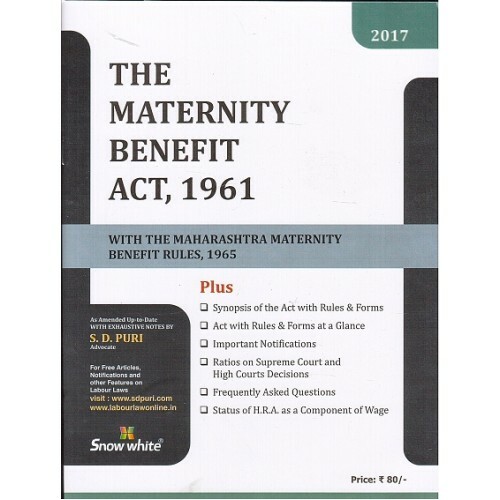 The Maternity Benefits Act, 1961 with Rules, 1965 Alongwith Tips on Maternity Benif.. 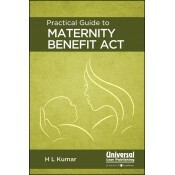 This book has been written keeping in view the requirements and longfelt needs of management of es..